What is EMB Agar ? 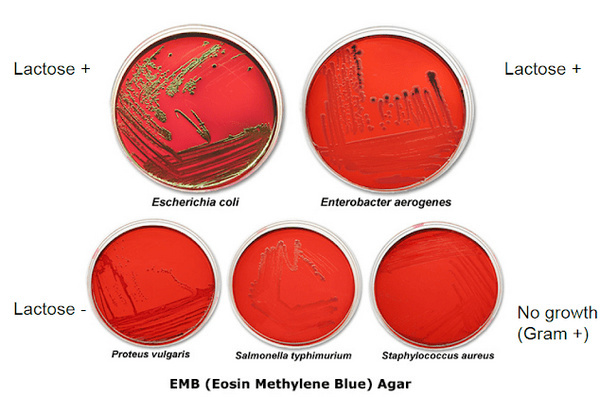 An EMB agar stands for eosin methylene blue agar; which is both a differential and selective culture medium. It is a selective medium because it allows the growth of some types of microorganisms while restricting the growth of others. 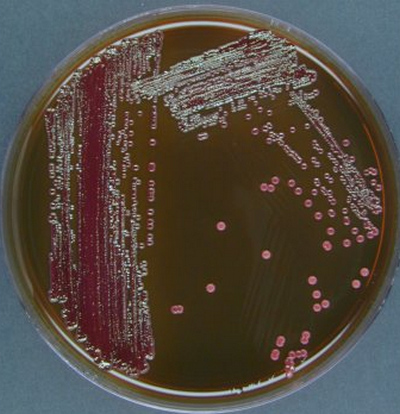 Picture 1: The image shows colonies of E. coli in the emb agar as characterized by the greenish metallic sheen. Picture 2: Pseudomonas microorganisms are tested on the emb agar; noticeable colorless colony. Picture 3: An emb agar with formed colonies of microorganisms. The EMB agar was first developed in 1916 by Holt-Harris and Teague. 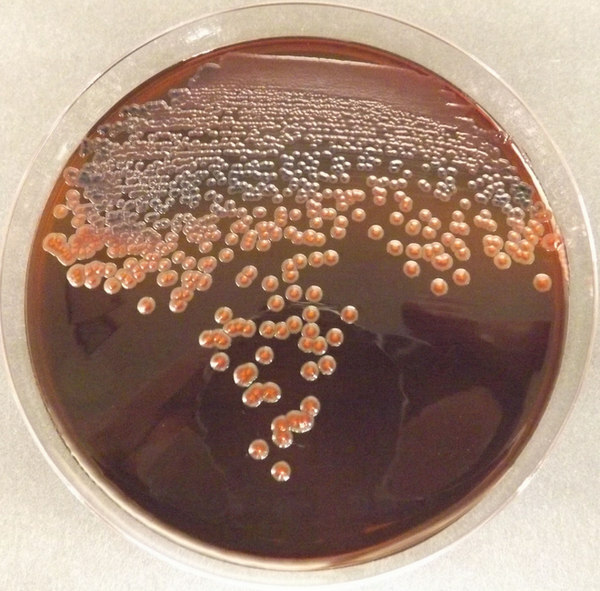 The agar was used to differentiate between lactose fermenting colonies and non-fermenting microbes. The same medium was used to differentiate coliforms that can ferment sucrose from coliforms that cannot ferment sucrose. The EMB agar is the preferred one because it is more stable and more sensitive when compared to other types of agars. In 1918, another form of EMB agar was described by Levine. Picture 4: A comparison image between a lactose fermenting and non-lactose fermenting microorganisms. What is the purpose of EMB agar? It is useful in differentiating gram positive and gram negative bacteria. It helps in the isolation and differentiation of enteric bacilli and gram negative bacilli. You should suspend the agar in a 1000 ml distilled water. Make sure you mix it well in order to achieve a uniform suspension. Bring to boil so that the medium will be dissolved completely. Sterile the medium through autoclaving at 121 degree Celsius for about 15 minutes. Make sure you do not overheat the medium. Allow the medium to cool and shake to oxidize the ethylene blue and suspend the precipitate. Note: You have to make sure you do not store the medium in the direct light as doing so could lead to photo-oxidation. Two dyes are combined: the eosin Y and methylene blue; they inhibit gram positive bacteria but on the other hand, allow the growth of gram-negative microorganisms. Microorganisms that are gram negative ferment the lactose producing dark purple colonies. Some lactose fermenting microorganisms produce dark and flat colonies characterized by a distinct green metallic sheen colo. Some lactose fermenting microorganisms create large mucoid colonies with a noticeable purple colon in the middle. 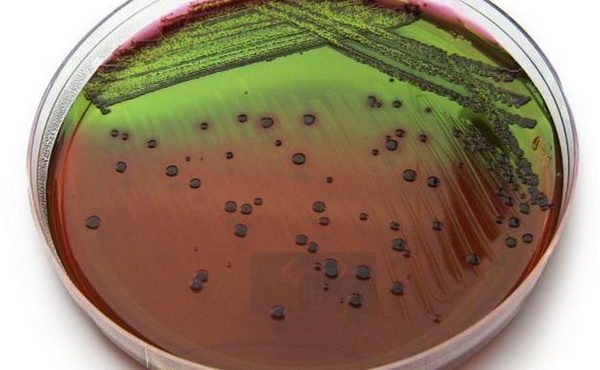 Most E. coli colonies have a green sheen, but sometimes they have blue-black bulls eye. On the other hand, lactose non-fermenting microorganisms are characterized by a light lavender color. Sometimes, they are colorless. The eosin methylene blue agar (EMB agar) is a selective staining for gram-negative bacteria. It contains two dyes in the ratio of 6:1 and is both toxic to gram-positive microorganisms. It is both a selective and differential mediums for coliforms. The color indicator distinguishes microorganisms that are lactose fermenting and non-lactose fermenting. Microorganisms that have the ability to ferment lactose have nucleated colonies with dark centers. Examples of non-lactose fermenting bacteria are Shigella, Salmonella, Yersinia, Proteus species, and Pseudomonas aeruginosa.